Full line-up has been announced now for BD2019 and includes Skunk Anansie, Ziggy Marley, Levellers plus The Stranglers, Sleaford Mods, Ash, Songhoy Blues, Hothouse Flowers, The Black Seeds, Peter Hook & The Light, Steeleye Span, Cast, Kate Rusby, Seth Lakeman, Ferocious Dog, Cara Dillon, Fisherman’s Friends & Many More. Plus seated Theatre Tent line-up announced, new Wild Spa and Fairy Tales theme! 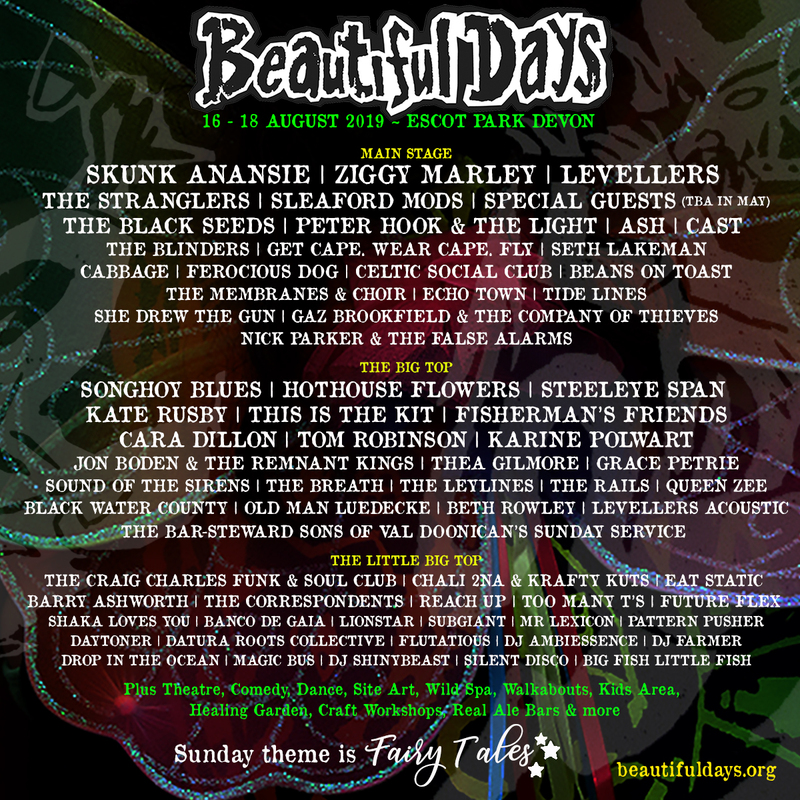 Beautiful Days is the Levellers’ independent family music festival organised by DMF Music which takes place at Escot Park in Devon and has been running for 16 years. 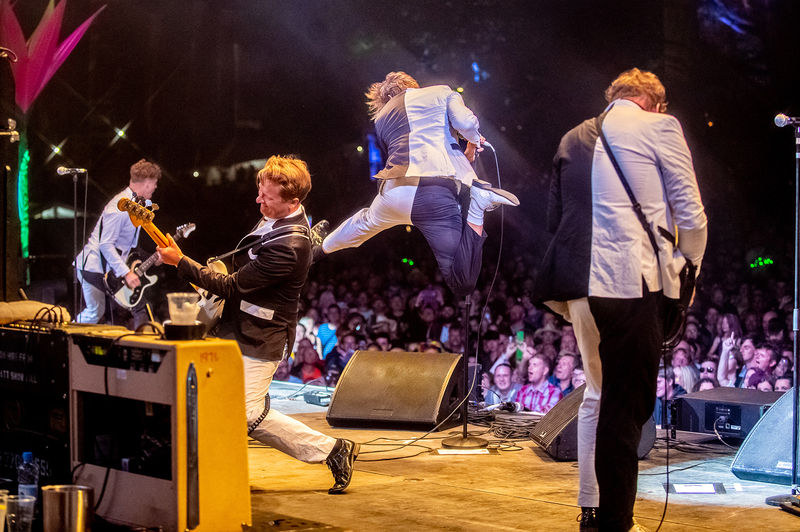 The festival has several stages, Site Art Installations, Wild Spa, Crafts Workshops, Healing Garden, central Children’s Area, Play Areas in campsites, family camping, real ale bars from Otter Brewery & an array of food and craft stalls. Beautiful Days has no sponsorship, branding and does not advertise. Beautiful Days won the Grass Roots Festival Award at the 2015 UK Festival Awards and Best Medium Festival in the FestivalKidz.com 2015 Awards and with nearly 50% of the vote we won Best Medium Festival at the 2017 Festival Kidz Awards!